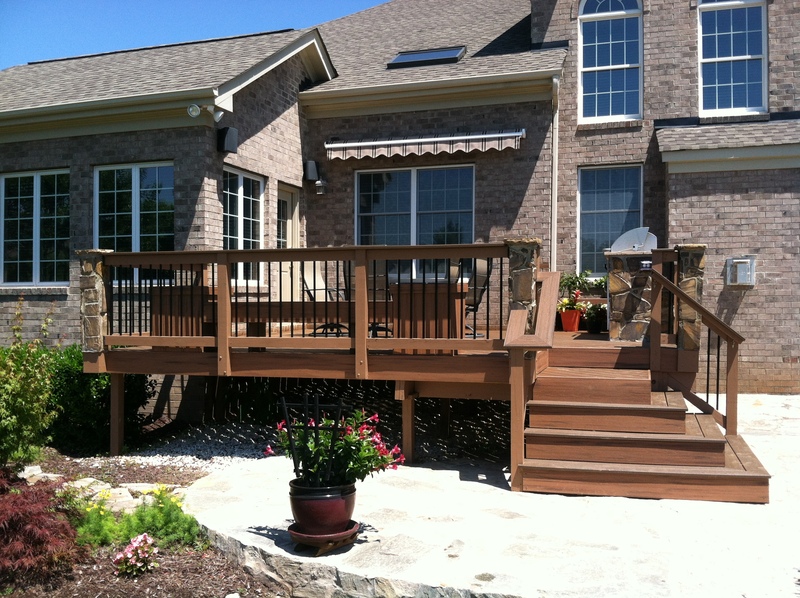 Archadeck of Charlotte has been designing and building Trex composite decks for over 18 years! We have so much knowledge and experience with the product that we developed an exclusive page just for Trex information and for our Trex YouTube video playlist on our channel! 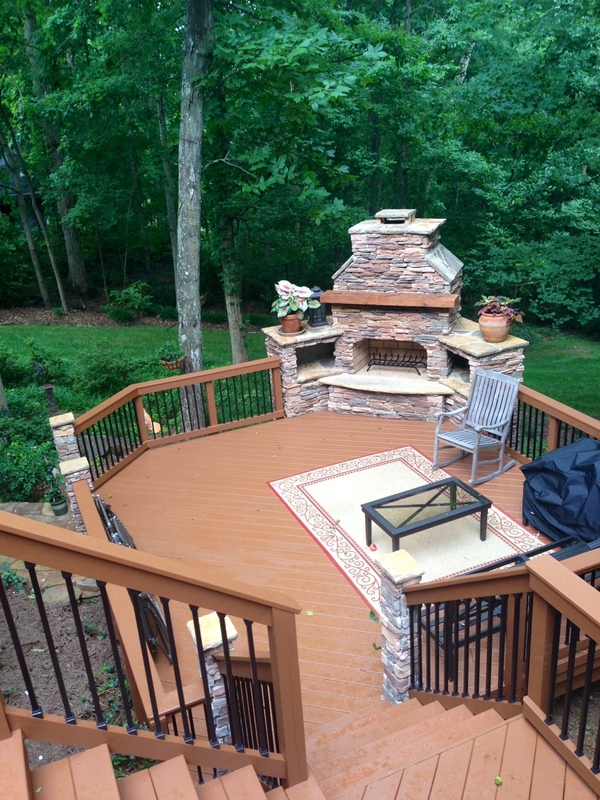 We have dedicated an entire space in our web site to a photo gallery, design ideas, and learning we share from our 26 years experience with decks in Charlotte, NC. 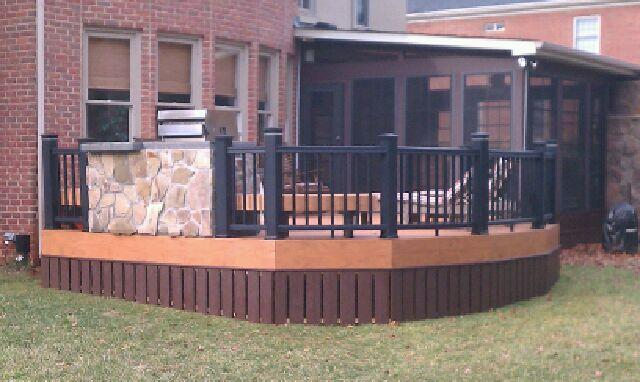 The You Tube channel has a vast array of designs and color choices for Trex Transcends composite decks and rail. We even utilize Trex for things like outdoor showers, benches, walkways, porch walls, pergolas, and screen porch trim detail. How do I know if I have to replace my deck or I can use the existing structure and simply replace the boards? How do you know when your deck needs to be replaced completely versus simply replacing the deck boards and rail? Experience tells us the life expectancy of the wood structure is somewhere betweeen 20 – 30 years depending on how it was constructed and maintained. Once your deck hits the 20 year mark, it would be a good time to have a professional come out and assess the wood itself, the method in which it was fastened, and the supports that carry the load. There are certain conditions that can determine the longevity of the deck such as the soil and the grade of the land. Soil and erode over time and the footings can be exposed which makes the integrity of the structure weaken considerably. Wood decks need to be sealed either with paint or stain to keep it from the harsh weathering of the sun. In addition, building codes change every 2 – 4 years on how decks are to be constructed and fastened. There are times that simple enhancements can be made to your existing deck to bring it up to the current building codes for safety concerns. 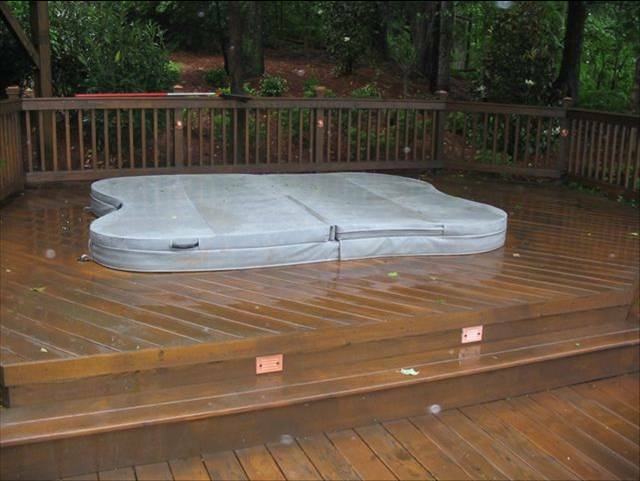 To gather more information, go to http://www.charlotte.archadeck.com or call 704-944-1350 and ask about a free deck safety inspection. What are my options for a covered patio/ dry deck? 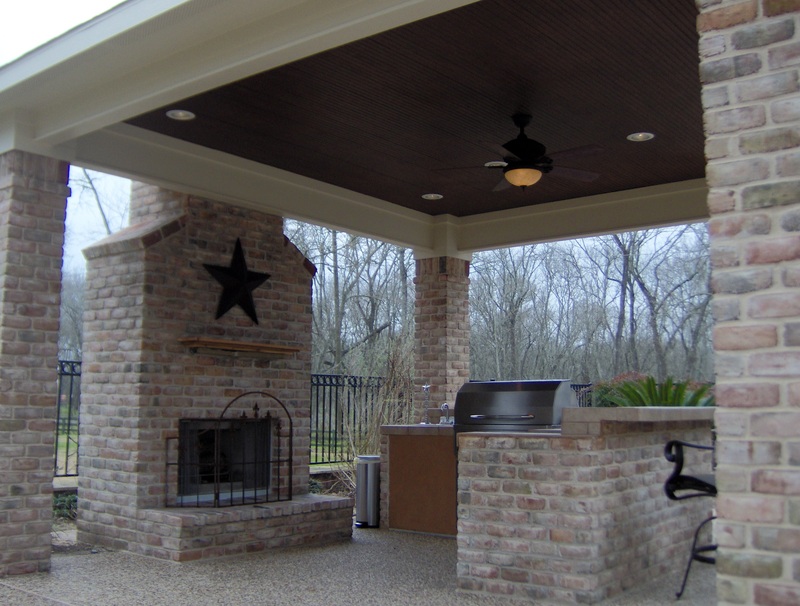 What options are there to create a covered patio or create a dry space under your deck? There are several that are on the market now but few that are effective. 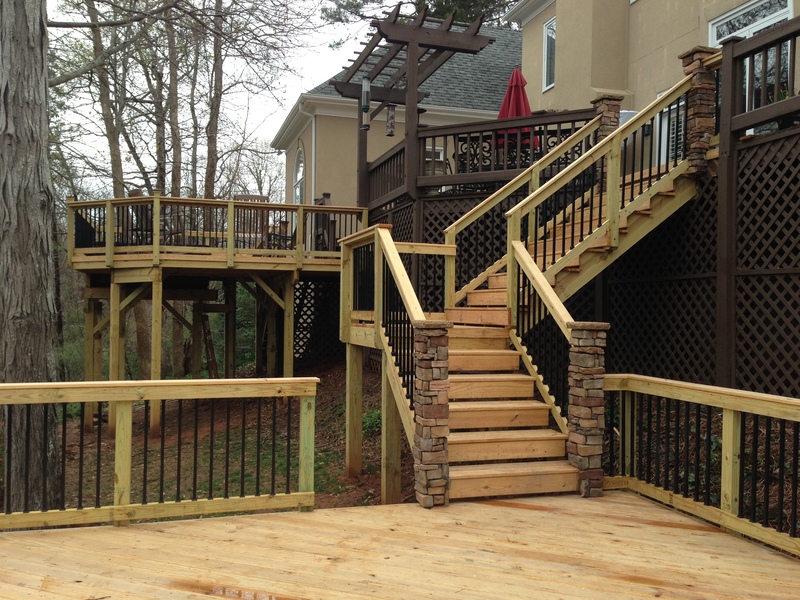 Archadeck of Charlotte has been designing and building decks, porches, and covered patios for over 25 years and has a lot of experience with the various manufactured and man made systems. A traditional “man-made” system still seems to be the most effective and give you the most finished look. This consists of taking plywood and using a rubber membrane to make it water tight and flashing. You must then take “”sleepers”” and adhere them to the membrane. Then you screw your decking into the sleepers. The primary disadvantage of this system is you cannot do it as a retrofit unless you are planning on replacing the existing deck boards. You can then finish the ceiling below with a beautiful beadboard and stain or paint it. There are a few manufactured systems such as Rain Escapes from Trex that is an an under-deck system that they heavily market to collect rail and then direct it to an aluminum gutter and downspout. Undercover Systems is a powder-coated aluminum system that does keep things dry but can be on the high end of the price spectrum. There is also a vinyl system on the market called Dry Deck but we have found it tends to leak at the house wall if you don’t do a lot of work to keep that from happening.